Audio file: Glossy Ibis written and recorded by Alicia King; Glossy Ibis call by musician Warren Armstrong on Cello. Yes this exhibition has your Black Kite in it. The address is on the invite above, Wooloowin is in Brisbane. I sent an update a few weeks ago to everyone on the project using mailchimp, did you get it? Thanks Jill, We’ll see you there. Fond regards, Wim & Adele. 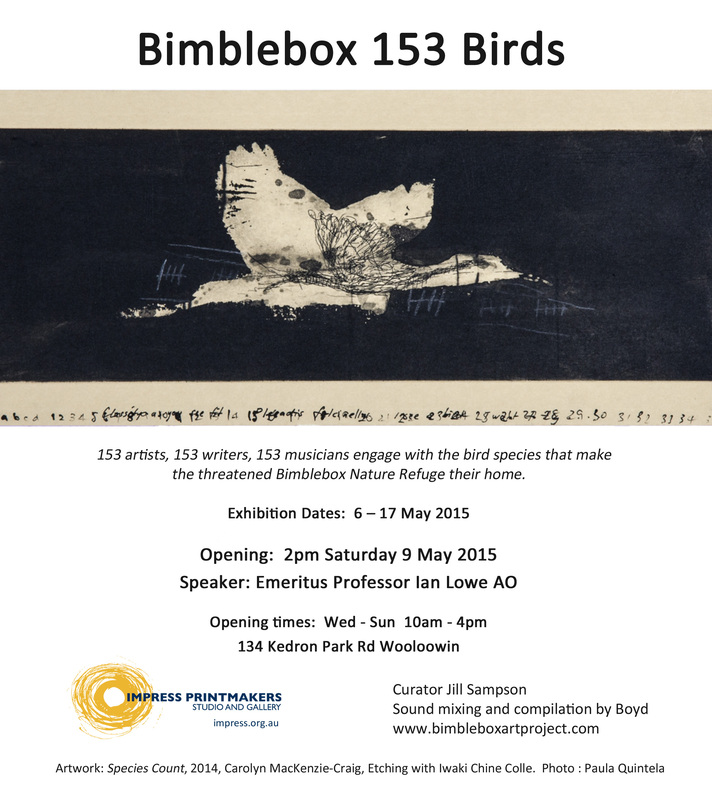 I’ve sent an exhbition invitation via mailchimp to the artists and writers on Bimblebox 153 Birds. If it doesn’t turn up, look to see if it has landed in the trash folder, if it isn’t there, let me know so I can send it again. Bimblebox is a Nature Reserve and as such it deserves our protection, not exploitation, just like poets, musicians and artist. If you’re in Australia for these date – drop in.